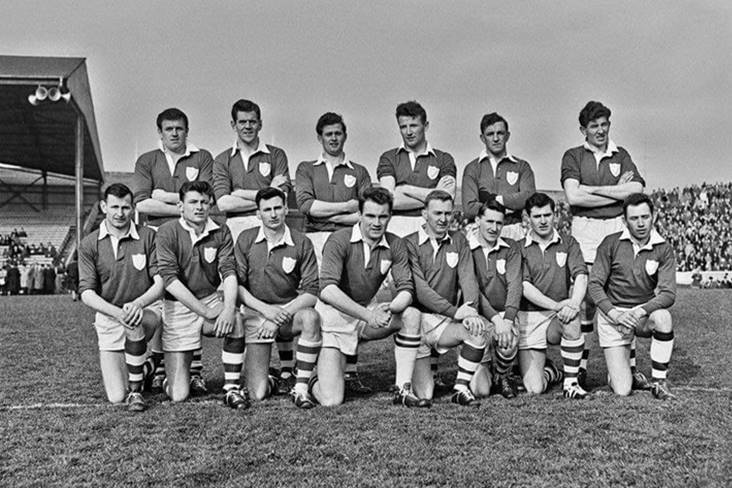 Only 14 Leinster footballers in 1962? Well midfielder Des Foley had already starred for the hurlers and was taking a well earned breather before re-emerging to the field for the footballers. They don't make them like that anymore! Longford is a great little GAA county and in the 1960's produced their finest ever team. But which Longford man won a Railway Cup football medal with Leinster on St Patrick's Day 1962? The eastern province pulled off the double that day, one which will be best remembered by the exploits of the late, great Des Foley. The Vincents man starred for the footballers as Ulster were beaten, having earlier lined out, the same jersey and all, in his familiar midfield spot for the hurlers who got the better of Munster. Des Foley's brother Lar also played at left full back in the hurling match in front of 40,000 spectators. Anyway, back to the focus of this piece.